Wearable devices are here to stay, and several manufacturers are already investing heavy in this segment. 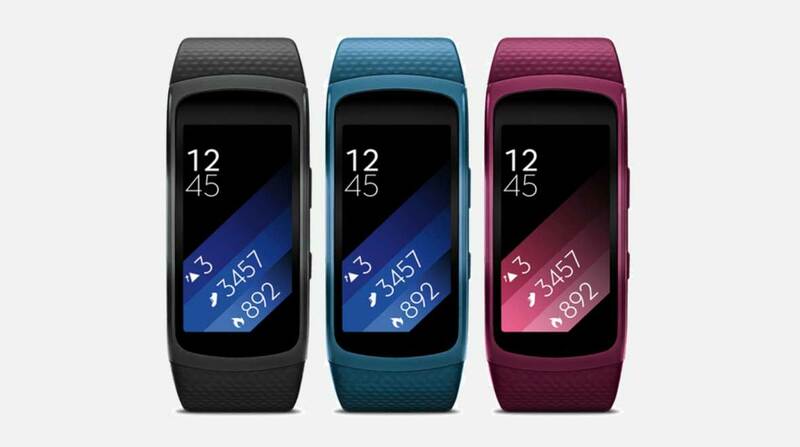 Samsung, current market leader with Android smartphones, released along with the Galaxy S5 the smartwatches Gear Fit and Gear 2. 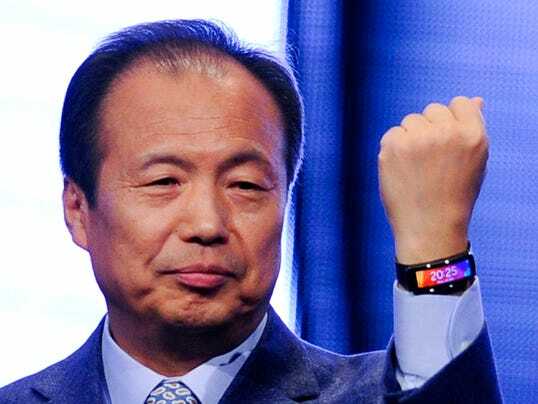 The idea is to offer consumers a smart watch and completely connected to the smartphone in order to make easier some day-to-day tasks, but is it worth investing almost 1000 R$ in the newest release of Samsung? That’s what we’re going to find out now in this analysis. The Gear Fit looks much more like a bracelet than a clock. Rubber strap, the unit has a design thought in those who practice sports. You can change the other bracelet sold separately. In addition to black, there is availability in shades grey, blue, green, Orange and red. The model also features screen Super AMOLED 1.84 inch curve. The image resolution is 432×128 pixels. At the bottom, the Gear Fit features a heart rate sensor. The material of construction of the bracelet looks tough and good durability. The smartwatch clock also has IP67 certification, which means that the product is resistant to water and dust. As a gadget whose focus is very present in the outdoor activities, the fact that he’s resistant to water is a key feature. However, we do not recommend full immersion in water. It is worth remembering it is not also indicated the immersion in sea water. 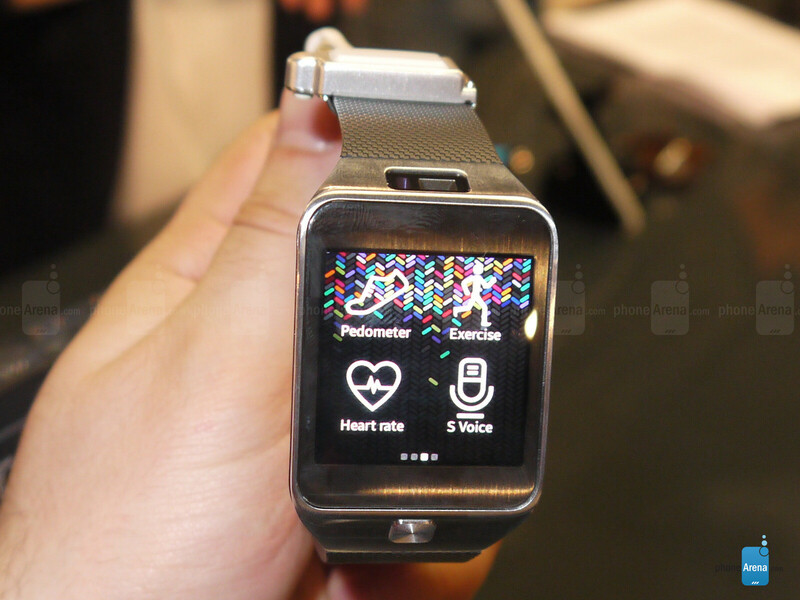 Initially, only Samsung’s devices will be compatible with the Gear Fit. At launch, only the Samsung Galaxy S5 is compatible with the model. The list of devices will be expanded gradually, contemplating at least 16 appliances, according to the list released by Samsung. The operating system which equips the Gear Fit is the Citizen, SO owner of Samsung. Initially, the device is only compatible with the Samsung Galaxy S5 and the communication between the devices is made via NFC or Bluetooth. To use the smartwatch clock, you need to sync it with your smartphone. This process is done through the app Gear Manager, you must download and install on your phone. The first configuration passes are made on the own smartphone. 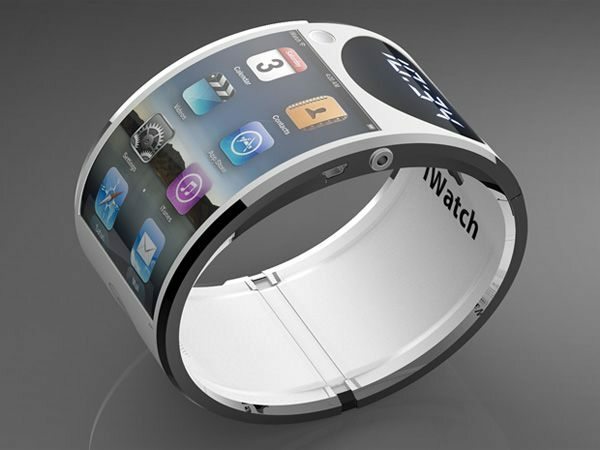 After pairing the bracelet with your phone, you need to download additional software yet, but the process is automatic. In the application you can choose which icons will be present on the bracelet, as heart rate, pedometer, exercise, and sleep timer. Other interface items can also be configured, as the wallpaper, the display format of the date and time, the display orientation (vertical or horizontal) and the display time of the content on the screen before it goes out. We recommend that the first time you use the unit, you are in an environment with WiFi connection. Subsequently, it is sufficient that the phone is close to that communication via Bluetooth and NFC take care in transferring the smartwatch clock data to the cell phone. Now that you know how to work the Gear Fit, it’s time to meet watch functions. Is it worth investing almost 1000 dollars in a major Galaxy S5 accessories? In addition to the digital clock, you can have your display set up in various ways, and the traditional timer, there are other interesting functions. The notification system allows you to be informed on the smartwatch clock, each time you receive a notification. You can configure which apps you want to receive alerts and even read text messages. For example, you can enable Facebook and WhatsApp to send alerts immediately if a message is received. In the case of text messages, you can read their contents on the screen of the smartwatch clock. In the case of messages or notifications that contain pictures or videos, you will only receive an indication of the type of media received and, to check the contents, even to access your cell phone screen. You can save time in many cases, since you just take a quick peek in the message to know what it is. 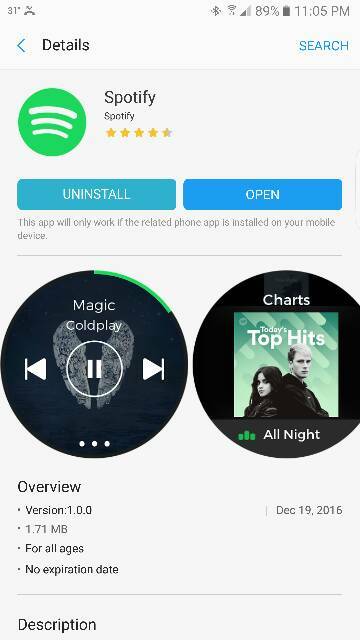 The media control feature allows you to control music from the clock. This includes audio stored on your smartphone or songs performed via other services such as Deezer. In practice, the Gear Fit lets you control any audio playlist that is being displayed in your notification Center. 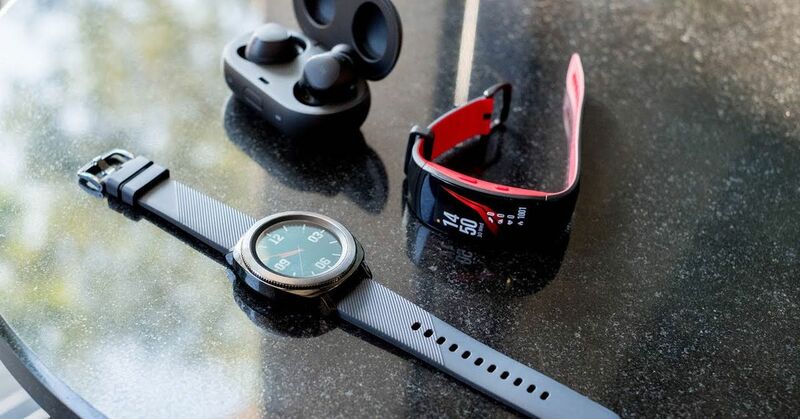 If on the one hand it is practical access via clock controlling the music on your phone, you can be in your pocket or in your backpack, for another may seem limited to some the fact that the audio is not transmitted to the watch. Not enough to be a problem or limitation, and the functionality of fact makes practical access to songs. However, it is in the sports that the appliance shows their key differentiators. The pedometer feature, for example, measures the amount of steps you take during a run or walk. When you’re standing, you can use the feature of heart rate, which measures your heart rate. In our tests, the measurements were accurate compared to traditional measuring equipment, with minimal variations. There are still ways to configure the intensity of your workouts. All results collected are sent to the smartphone and can be analyzed through the application’s Health. Finally, the unit also has a feature that can be enabled before you sleep. The sleep function measures how much you move at night, indicating in the form of a chart as is the quality of your rest. Later, on your smartphone, you can check data as the average time slept and the total time you spent building. Samsung warns that these data should be observed with caution, and the user take the numbers to a doctor if necessary so you can have better guidance on the real meaning of them for your health. 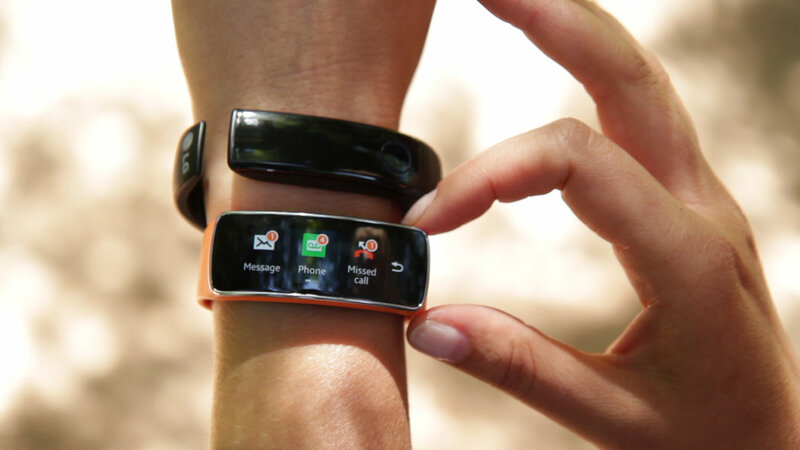 Equipped with a 210 mAh battery, the Samsung Gear Fit has a low level of consumption. Most of the spent resource by Bluetooth and NFC, which remain active for most of the time. Despite the low screen resolution, also influences directly the consumption, once you can determine the duration and intensity of your brilliance. In our tests, it was possible to use the bracelet in the 2 average 3 days without the need of recharging the battery. Already in days with more pronounced, as in the case of those in which the Gear Fit was used during the practice of sports, in 2 days the unit showed signs that would need to be reloaded. Although it works very well in its resources, there is no denying that the Gear Fit is a luxury accessory for owners of Galaxy S5. Buy the kit that includes the smartphone and the smartwatch clock means investing almost 3600 R$, too high for most consumers. If you want to have at hand your data races or need to monitor your heart rate, the Gear Fit will become a good companion. Receive notifications on the smartwatch clock while working, for example, can make you more productive, eliminating the need to check the phone all the time. As wearable accessory experience, the Gear Fit shows that there is potential for this market, but the best ideas are yet to come. Today, the investment is still too high for the return that the product offers. Incompatibility with other brands of smartphones or even own Samsung is another feature that complicates things further. On the other hand, it is necessary to point out that, considering the history of product prices in Brazil, the R$ 899 value is within the expected. In the United States, the cost of Gear Fit is $199 (the equivalent of 442 R$, tax-free). 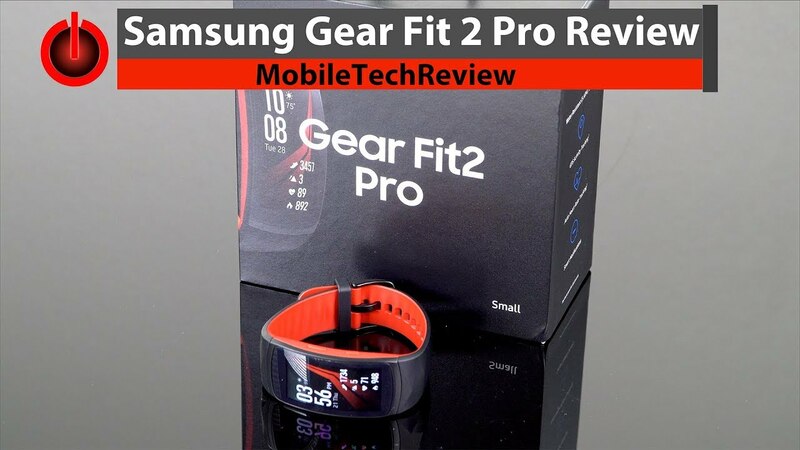 Now, if to you the value of the investment is not a problem, surely you’ll find on Gear Fit a faithful companion for sports and other day-to-day tasks.